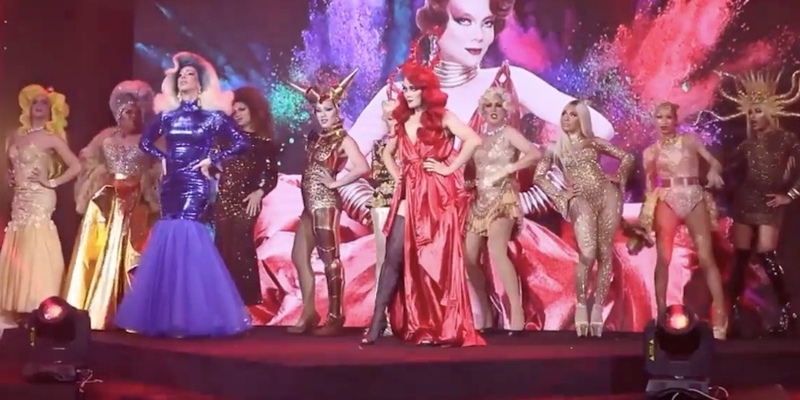 Yesterday, we ru-vealed the 10 drag queens who will be competing in the first season of Drag Race Thailand, and today we get to see those queens in action as they strut their stuff onstage at a recent promotional event. 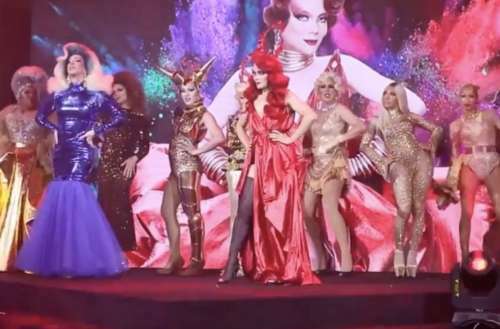 This video of the Drag Race Thailand queens (below) has us even more excited for the show, partly because it’s in English, meaning that those of us who don’t speak Thai can still enjoy the gag-worthy gender-bending fun. The promotional event where the video was shot features the show’s co-host, famous Thai-Taiwanese drag queen Pangina Heals, dancing onstage as each Ru girl comes in and strikes a pose to RuPaul’s 1993 dance hit “Supermodel of the World.” After lining up onstage, Heals introduces each queen as each one serves a quick bit of fierceness and face for the audience — yasssss kweens! Then, near the video’s end, Heals introduces the show’s lead host, locally renowned stylist and designer Art Arya. Though her moves seemed understated compared to Heals’ and the other queens’, perhaps she’s a subtle and fierce queen rather than an animated, spotlight-stealing drag diva. We’re unsure when exactly the Drag Race Thailand queens will grace the small screen and whether the show will be available in America with English subtitles, but we’ll totally watch it, even if we have to pirate it off the dark web without any idea what the contestants are saying. We recently got to see the show’s runway and workroom, and with each new detail that leaks out about the show, we’re getting more and more excited. Either way, Heals has said she hopes Drag Race Thailand will merge the Western and Thai forms of drag into “something new and relevant” that will spread “like a disease.” Consider us infected, lady, and the pandemic is just beginning.